How could you forget little Kevin McCallister rigging his house with traps against a clumsy thief played by Joe Pesci? Home Alone by Chris Columbus, along with the Die Hard saga and masterpieces such as Pulp Fiction and Forrest Gump, are among the greatest classics of the ‘90s, their life lessons still echo after more than twenty years. 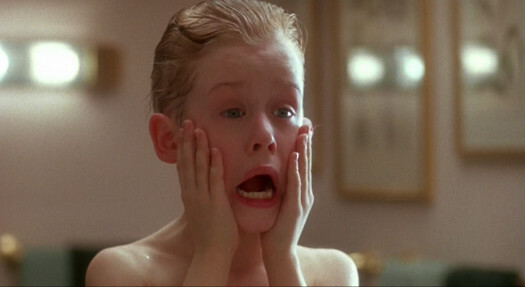 If you’re one of the few remaining people who never watched it, Home Alone is about a Christmas holiday of a family made by uncles, dogs, cousins and brothers where, leaving in a huge hurry, the youngest son, Kevin, played by a very young Macaulay Culkin, is accidentally left behind. And so Kevin stages his pranks and booby traps to corner the two unskilled thieves. Home Alone is a family film, to be enjoyed on the sofa eating popcorns, a story about airplanes, airports and holidays not too far from our days where children couldn’t phone their parents and parents couldn’t get in touch with them through a Whatsapp chat. Home Alone 2: Lost in New York was a masterpiece too, even without the originality and energy of the first one. Curiosity: Kevin is lost in the Big Apple and needs advice on where to go and President Donald Trump shows up to help him! You have to watch it again!